Midge Maisel, I mean, the sharpest wit and fastest mouth in Manhattan, who flat-out charmed viewers last year in The Marvelous Mrs Maisel, Amy Sherman-Palladino's rollicking (and deservedly Emmy-winning) comedy series about a 1950s housewife who channels her boundless energy and proto-feminist frustrations into a stand-up comedy routine. Season 2, which streams Wednesday on Amazon.com, picks up from the first season's walk-off, with Midge (played to hyper perfection by Rachel Brosnahan, who also won an Emmy for the role) spinning the plates of her precariously compartmentalized life. Separated though not yet divorced from her ego-bruised husband, Joel (Michael Zegen), Midge now toils, if you want to call it that, in the subterranean phone banks of the swanky B. Altman department store. It's a demotion from the cosmetics counter, which she nevertheless masters, answering a battery of incoming phone calls all day with the gusto of someone who won't have to see or hear the letters ADHD together for a good 30 years at least. As other operators beg Midge to rescue them from the tangle of wires and call transfers (to the backdrop tune of Barbra Streisand's 1969 rendition of Just Leave Everything to Me, never mind the technical anachronism), Sherman-Palladino executes one of the first of many sweeping, lusciously transporting camera perspectives across Midge's pristine, vividly hued mid-century paradise, where even the shabby parts of town practically sing and zing with charm. 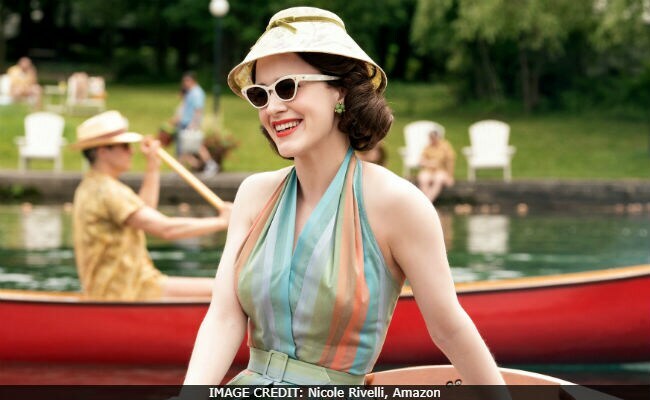 The beauty seen in The Marvelous Mrs Maisel - the costumes, the sets, the lipstick, the vintage New York and, this season, equally dazzling side trips to Paris and then to the Catskill Mountains - is a necessary counterbalance to what can only be described as the show's dependence on obnoxiousness as a heroic trait. Yes, I said, it: Mrs Maisel is an almost scientific study of the ups and downs of living one's life loudly, boisterously, hurriedly - and obnoxiously, which isn't always a bad thing. Those who have admired Sherman-Palladino's razor wit in award-acceptance speeches and followed her work (including the classic "Gilmore Girls" and the underappreciated "Bunheads") take a particular comfort in her ability to represent and bring to life the sort of female characters who cannot, will not shut up. And why should they? Part of the fun of watching Mrs Maisel is to applaud its singularly sublime message, which is simply: I won't shut up. You shut up. It's a valentine to women who fearlessly wield their command of language and humor. Women who, when faced with the equally obnoxious rules of a society that tells them to be quiet and tone it down, will instead respond with more words at more speed. The Marvelous Mrs Maisel is a lesson in the artful uses of obnoxiousness, especially for those of us living in the brutishly obnoxious present. 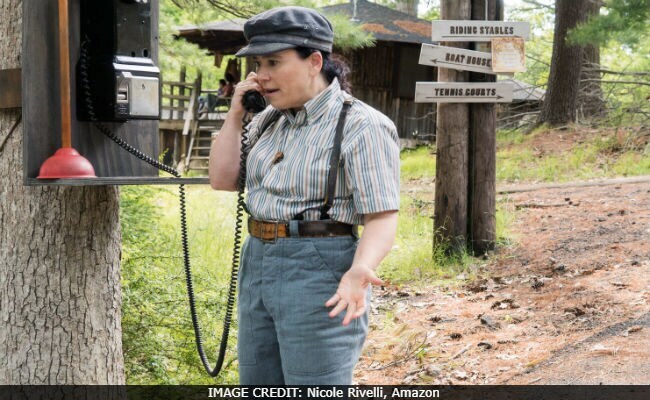 By night, Midge is lured back to the comedy game by her sour-tempered yet relentless agent, Susie Myerson (Alex Borstein, another of the show's Emmy winners), who tries to capitalize on the buzz Midge gained when she brought the house down at a Village nightclub and won a seal of approval from none other than Lenny Bruce (Luke Kirby), arguably the most obnoxious (and bravest) comic in town. 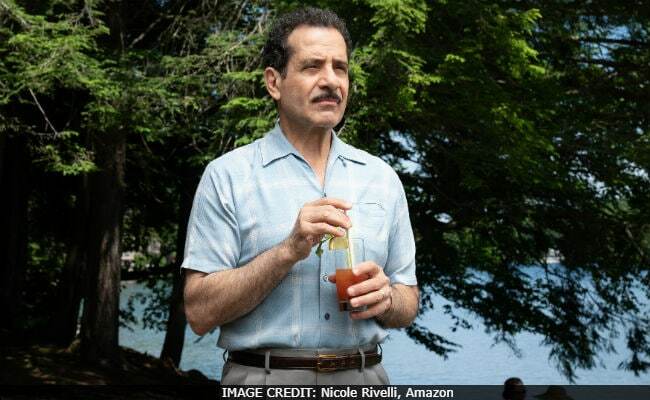 Bound to live by an almost smothering degree of convention, however, Midge and her two increasingly (almost laughably) ignored children still reside in yesteryear's opulence - a huge prewar apartment with her parents, Abe and Rose Weissman (Tony Shalhoub and Marin Hinkle). Midge still keeps them in the dark about her blue and bracingly honest comedy gigs. Much of Season 2 hangs on how much longer her secret will keep. Things go round and round a tad too often in the first five episodes, and a viewer may occasionally sense that Sherman-Palladino is favoring freneticism over story structure. It's such fun to watch, however, that one may not even notice instances of disorganization. For it is the pure fantasy of The Marvelous Mrs Maisel that we've all come to see: Visually, it's a splendid swirl of an imaginary New York, practically vibrating with the desire to return back to a place most of us never experienced firsthand. So intense is its nostalgia and so backward are some of its worldviews that you could almost mistake it for a Make America Great Again rally, were it not for the show's intellectual underpinnings. Almost achingly, the show tries to make a case for this lost world, while also indicting it. Just about any character who isn't part of Midge's immediate realm (upper class and Jewish, mainly) never gets more than a bit part. That in itself can be seen as the show's tacit recognition of its own insular obnoxiousness, and it's a relief that The Marvelous Mrs Maisel seeks to remind us - at least once per episode - that the 1950s were not as glorious as they appear. The same obnoxiousness can carry through triumphantly, as when Midge takes the microphone and dresses down a group of male-chauvinist comedians leering and sneering at her from the bar. In other scenes, it becomes a personality defect, when Midge pushes things too far, humiliating herself and others. In old movies and TV shows, when a loud and forthright woman ends up in hubristic social disasters, the "me and my big mouth" lesson was implied: She should put a lid on it and be more ladylike. The Marvelous Mrs Maisel isn't having any of that, suggesting instead that the funniest (and most obnoxious) person in the room also possesses the sort of courage to fix her own problems, make her own apologies and choose her own outcome.